Having just won the Pulitzer Prize for Fiction this year, A Visit from the Goon Squad by Jennifer Egan offers a little bit of everything to everyone. 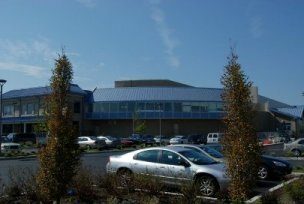 Egan follows the lives of several individuals who are all loosely connected to each other at various points in their lives. The book starts off examining the life of Sasha, an assistant to a flourishing music producer living in New York City. Sasha is a beautiful but dark character– she’s a long time kleptomaniac with a rough past. As the novel takes off, readers learn more about Sasha’s history (through the eyes of her uncle), as well as take a peek into the lives of her boss, Bennie Salazar, former teenage friends and boyfriends, and several other motley characters with completely unique life stories all their own. Some chapters are touching and quirky (e.g. a story told entirely through the use of PowerPoint slides), while others are solid tragedies. While the concept for the book could be confusing to some, it doesn’t feel disjointed at all. The hardest part in reading Goon Squad is figuring out where each person fits into the world that Egan has created and at what point in time. The connecting thread that runs through all of the chapters deals with human development– how do we change as we age? How did we get to this particular point in our lives? 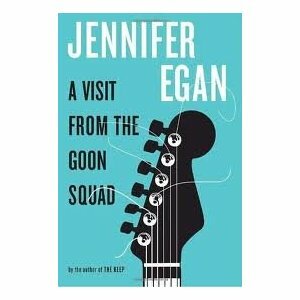 If you liked the movies Valentine’s Day or Magnolia (both of which feature lots of different mini-narratives within one major story), you’ll undoubtedly love A Visit from the Goon Squad.